I know, I know… You’ve all been waiting for me to start posting again as promised in my last post. Well, let me just share a little bit about how July went, and maybe you’ll understand the my need for a bit of recovery time. This year my parents have been married for 50 years! That’s right, this year was their 50th wedding anniversary, and that is really something to celebrate, because let’s face it…unfortunately, not many couples make it 50 years any more. I won’t go into the reasons why, because we all know why…divorce rates, getting married later in life, etc. Let’s just focus on my Mom and Dad for now, and not think about those other things. My handsome father and beautiful mother! 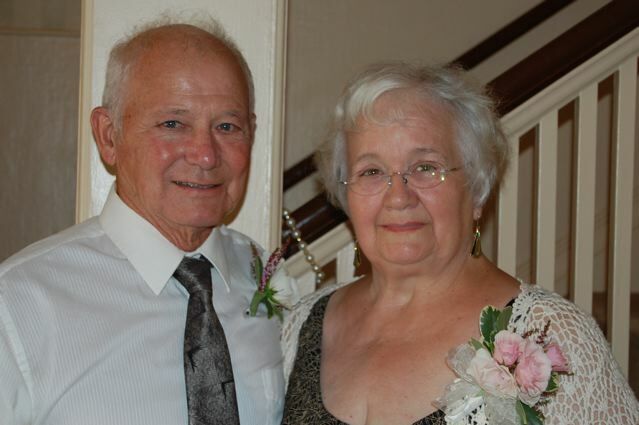 Well, about three years ago, Mom and Dad decided they did not want a 50th Wedding Anniversary Party. Instead, they want our immediate family to go on a trip together to Pipestem Resort in West Virginia. So that’s exactly what we did. 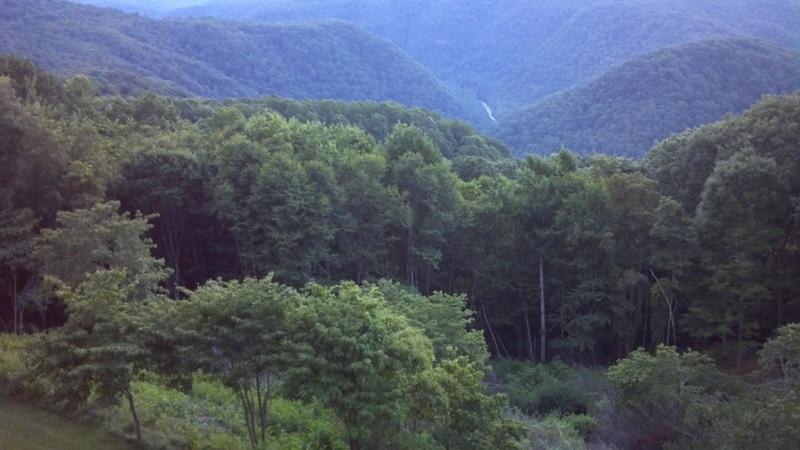 We packed two vans with more food than we need, and the eight of us drove to West Virginia. BTW, the above picture of my mom and dad was taken at our wedding reception two years ago. It was a great trip. The resort is in a state park, so there were deer all over the place. We rented a three-bedroom cabin, and I think I’ve found our new “dream” house layout. It was spacious, with a huge fireplace, a deck off the back, and a fantastic view. We even had a deer that slept under our back deck! I wish I had gotten some better pictures of it. Living room in the cabin. You can kind of see the view through the window, but you really cannot tell how beautiful the really was. 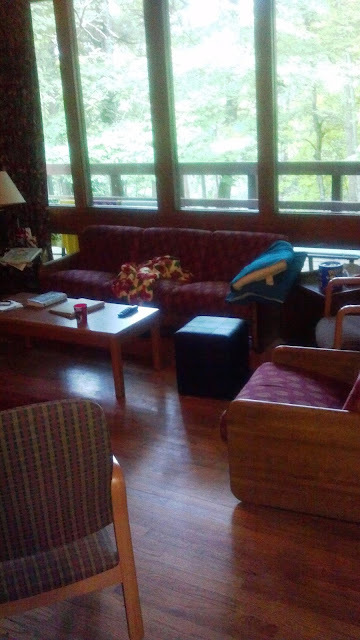 The hardwood floors were all throughout the cabin. Of course, I would have chose different furniture, but I wasn’t the decorator!! The fireplace was great. It really needs a mantel though. 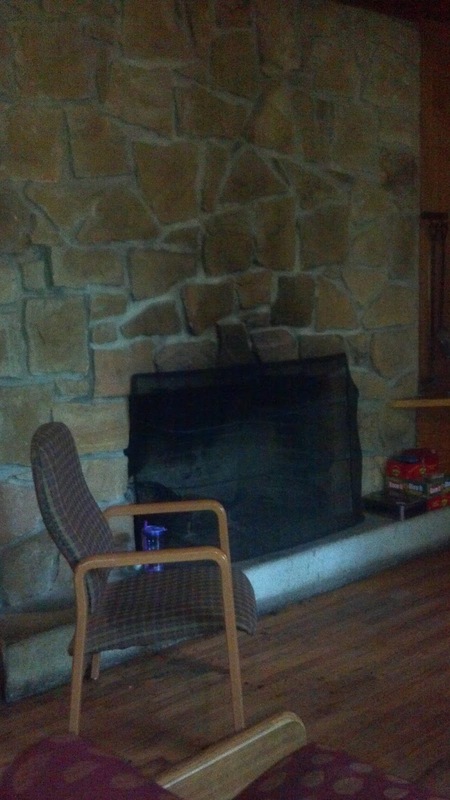 It’s a working fireplace, and the resort provides firewood. Unfortunately, it was too warm for a fire. Jim and I might go back sometime in the fall during to see the colors, and we’ll rent a two bedroom cabin so we can have a fireplace. 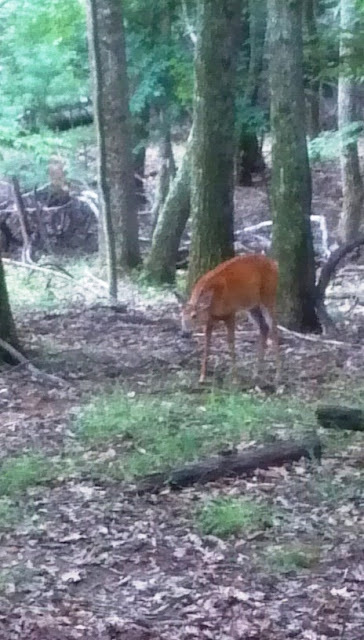 Here’s a picture of one of the deer that we saw. 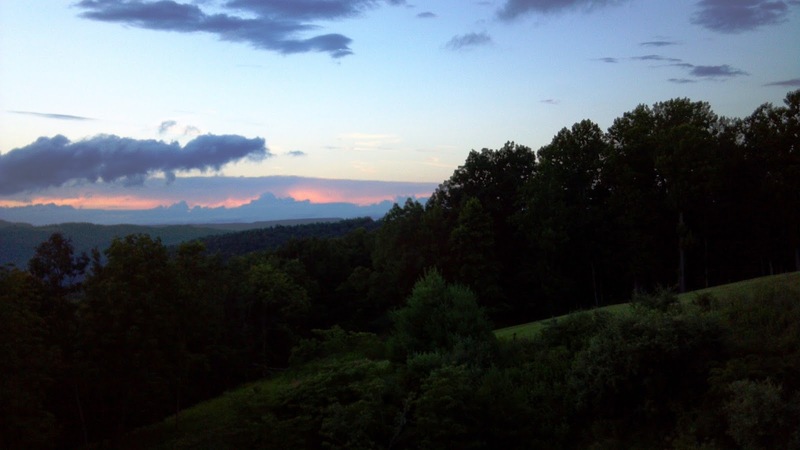 This one was taken from our deck off the back of our cabin. The deer were very used to people and didn’t seem to have any fear at all. They were not domesticated, they were wild, but they had no problem with us watching them. We even saw them begging for food from a family that were having a picnic outside… That’s why the resort had all kinds of signs tell people it is against the law to feed the wildlife on State property. These deer would become dependent on the food from people, rather than foraging for food. Plus, people food is not good for them. It was a great trip. And that was just the start of July. I have even more to tell you in the next post! 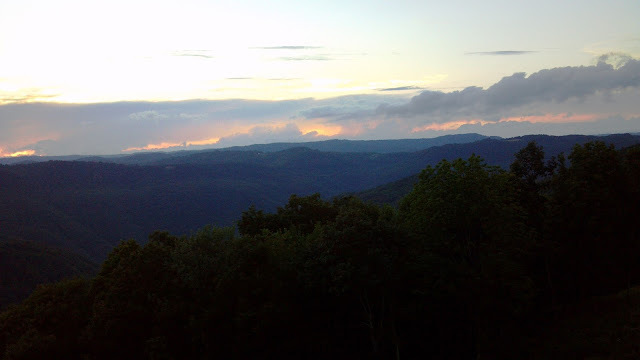 But until then… Enjoy the beauty of the mountains in West Virginia! Another beautiful sunset over the mountains. Looking down the mountain along the tram lines. Finally! Today is the day! My new website is live!